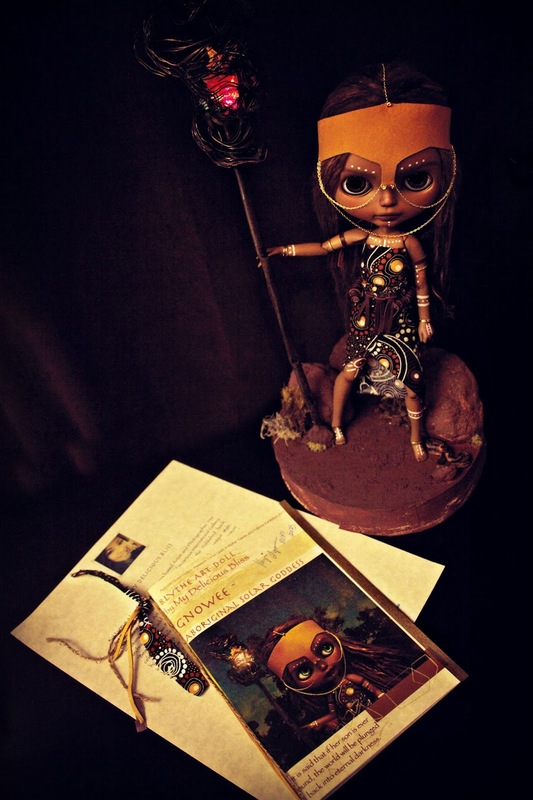 Gnowee is now at the Auguste Clown Gallery Fairies and Folklore Exhibition. She comes with a booklet detailing her story and all work done to create her. Here is a look at her booklet.